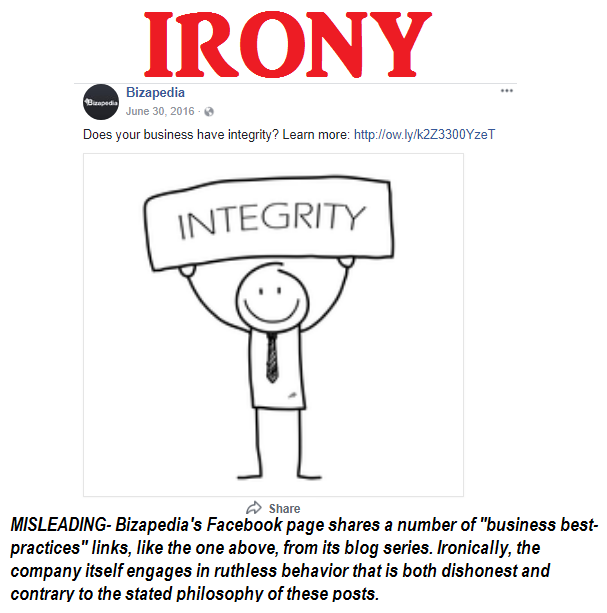 Bizapedia.com is a business-listing web-site that makes it almost impossible to correct or change company information and erroneous reviews; posts and sells personal information; and even uses fake social media accounts to mislead the public and promote its own website. In September of 2015, a successful business man formed a nutritional supplement company and convinced a group of investors to help form it. The company, whose founder wished to remain anonymous for this story, registered his new operation with Bizapedia. Shortly thereafter, a former colleague and now-competitor wrote a scathing review on the company before it was even in operation. In only a few days, all search-engine results for the company would show the link to this review at the top of the page. When the business owner tried to contact the company it was met with a pre-formatted form that made emphasizing the severity of the situation difficult to convey. Indeed, it did not serve the business man’s best interest. Later, the person who made the false entry agreed to delete it, but the Bizpedia only allows a post to be entered and not modified or redacted in any way. Those who wish to change or delete a comment have absolutely no way to directly contact the company via email or otherwise to do so. By contrast, other business-listing sites like Yelp.com, Google Plus, and YMLP all provide the ability for the business as well as the commenter to redact negative statements with relative ease. They all have contact email information and Yelp.com even provides a telephone number for which to contact the listing company in person. The evaluation of this entire scenario found that not only was this not an isolated incident, but a regular occurrence in a much deeper pool of many questionable and possibly unlawful business practices by Bizapedia.com. The case of the supplement company is only one of countless bad experiences at the hands of Bizapedia.com. 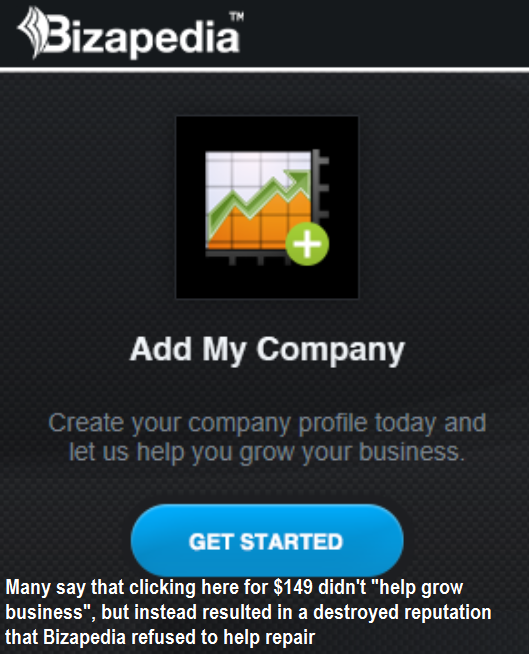 Essentially the company’s web site allows a business-listing to be entered at a cost of at least $149. If there is an error in the information entered or circumstances change in some way, it is, according to many sources, “almost impossible” to update. And, the update may not actually take place until months later. A close investigation found over a hundred complaints of this nature from companies who had actually spent the money to register. More troubling, however, is the fact that companies who never registered with Bizapedia found themselves listed also on the site, often with incorrect information and almost always negative comments. In some cases information was attached to the unregistered business listings that didn’t show the business, but a street address and picture of the business-owners personal residence. Since there is no “contact us” button with a direct email, the only way a non-paying-but-listed business is able to contact Bizapedia is by paying for an account. And, that will only gain it access to the generic company submission page, which, as mentioned earlier, does not allow for any direct communication. For a company to be able to slander a business for free but then force it to pay for an account in order to have the negative claim taken down is no less than coercion. In July of 2016 a non-paying business signed up for the opt-out feature for his company’s profile. The information was taken down only to reappear with a different link. When he tried to contact Bizapedia again he was blocked from contact. In another case, a former business owner in Newton, MA had closed his business in December of 2014 in order to comply with the legal terms of his visa. He too had never registered with the site, but in spite of attempts to have his business listing removed, the company remained unresponsive with no way to contact a live person. Eventually, he was forced to turn the matter over to an expensive attorney. The Better Business Bureau (BBB) shows a rating of “F” and has listed at least 62 complaints against Bizapedia in the last 3 years, 20 of which took place in the last twelve months. Pissedoffconsumer.com has at least 41 complaints, and Repdigger.com shows a 12 percent reputation score. A Google search reveals several pages of links with hundreds of complaints against the company. Other complaints include a Nevada couple who were both falsely listed as having been arrested, and a man from Salem, OR who actually received a death threat at his home, which was listed on the site for all to see. Literally, the list of the various complaints numbers in the hundreds. Bizpedia also has very questionable marketing tactics. 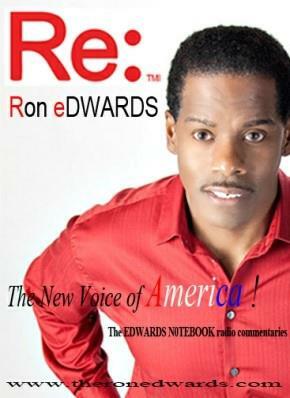 The company has created both a Twitter and Facebook page that it supposedly uses to grow its brand. However, upon close inspection, it appears that very little time has been invested in gaining followers. In fact, both pages contain posts that are “liked” and “shared” by fake accounts, which usually indicates that a company is hiding something while trying to appear legitimate, when in fact, it is not. After research was performed on the Bizmedia Twitter account, it was immediately suspiciously blocked by the page owner preventing the investigator from viewing it under his own account. The only statement made by the company was in the form of a bullying rebuttal on an online complaint site. In the entry, either the manager Mathis or a representative outlined to the person filing the complaint why any information that Bizapedia wished to publish, regardless of harm caused, was “lawful”. The post also included the statement “If you wish to contact our counsel directly, you may do so here: Karl S. Kronenberger, KRONENBERGER ROSENFELD, LLP, 150 Post Street, Suite 520, San Francisco, CA 94108 (405)955-1155, (405)955-1158 Fax, www.KRInternetLaw.com.” The words directly from Bizipedia showed outright disregard for compassion or privacy of individuals. Bizapedia.com boasts “let us help you grow your business”, but has in many cases, done the opposite. Some companies who paid the listing site have lost their reputations, gone out of business, or have lost both customer and investor support. Bizapedia has made it clear that it is not concerned about it customers or the private lives of people in general. A company that cares about how it is perceived would be far more likely to show compassion to those it has inadvertently hurt. It would not sell access to personal data under the guise of business-listing. Due to the vastness of internet influence that Bizapedia holds, coupled with the vindictiveness of its owners, all interviews were conducted only by condition of anonymity. It appears that this internet bully knows and, perhaps relishes the fact that it creates this kind of fear and can get away with destroying businesses and people’s lives with little chance of paying a price.